The stadium, which was built in 1952, had already been patched in dilapidated spots but it really began to fall apart two years ago. Hundreds of Harrah residents have played on Evans Field. 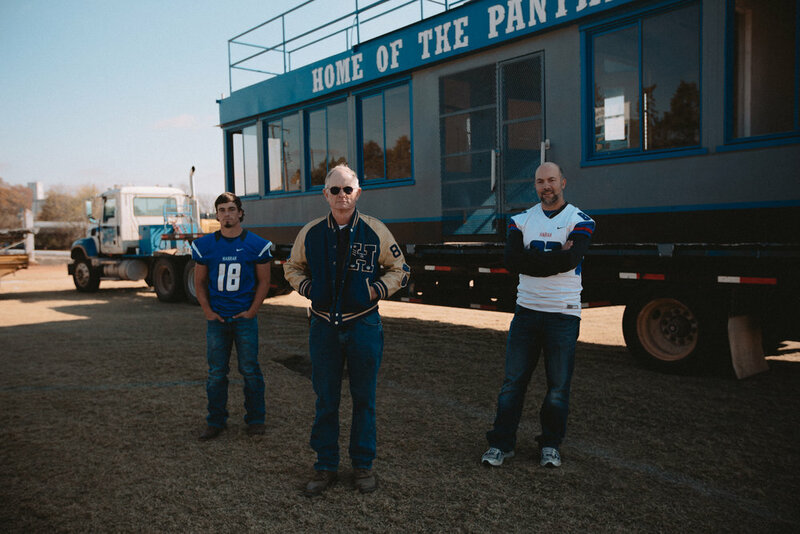 One family in particular has made Evans Field part of its history for three consecutive generations. Greg Nowakowski, the first in the family football legacy, played on Evans Field for the first time in 1964. 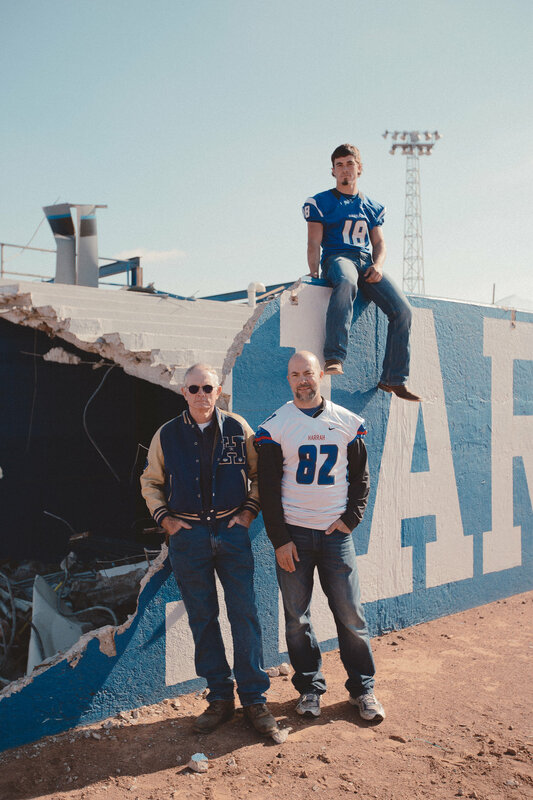 Years later, his son Samuel joined the football team as receiver and eventually his grandson, Cash, carried the family tradition as tailback and linebacker. 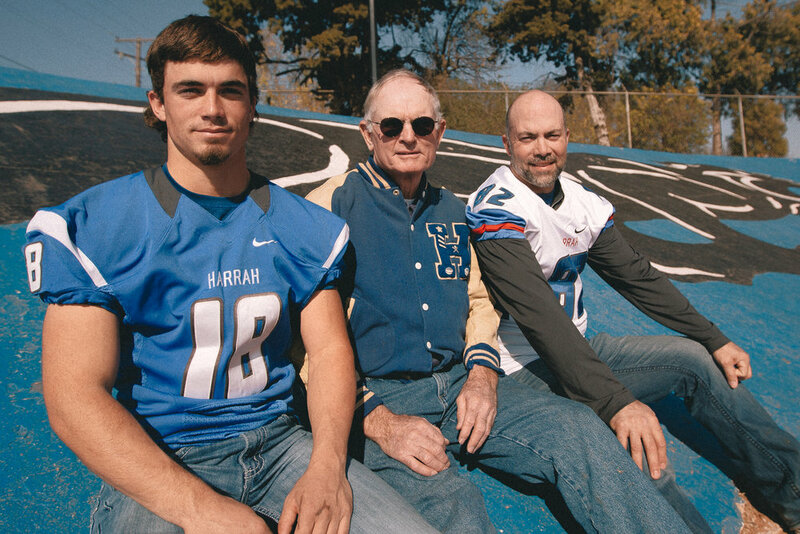 Cash will graduate from Harrah High in Spring 2017 and recently played his last game in the stadium. It just so happened to be the last game anyone would play in this incarnation of Evans Field. Final games are always hard, according to Greg. He imagines the one that took place this season was particularly emotional. When it’s rebuilt, the stadium will have a turf field. This is a standard feature for modern football fields, but Greg has never played on synthetic grass. He recounted a particularly messy Friday in Mustang High School’s brand new stadium, where a rain storm turned players from both sides into mud-drenched blurs. 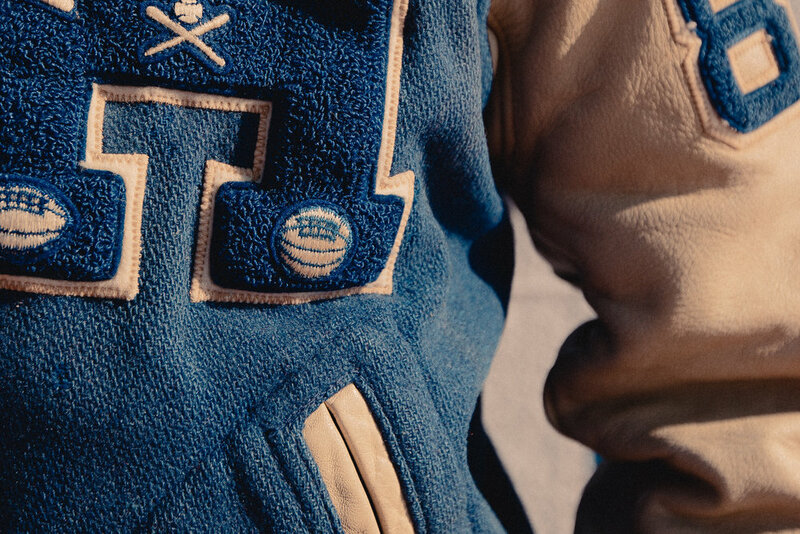 “You couldn’t tell what team was what, but we tore up their new football field,” he added reminiscing happily. They took on teams from across the state with familiar names like Kingfisher, McLoud, Stroud and Bethany. The worst game he ever played, in fact, was against Bethany. Harrah lost by 53 points. “The coach had never been beat that bad,” said Greg. “And he just told us, ‘Hey, that football field is 53 yards wide and that’s how many points we got beat by.’” And that’s how many times the team ran the field. They never lost under that coach again. In contrast, his best match was against Stroud, where the Panthers made a dramatic comeback at halftime. Greg caught the ball as receiver five times that night. His favorite coach was Charles Ramsey. “I played with some really good boys,” to this day he can still name every player on his team. The memories shared by the Nowakowski's ring familiar with most who have played on a football field. 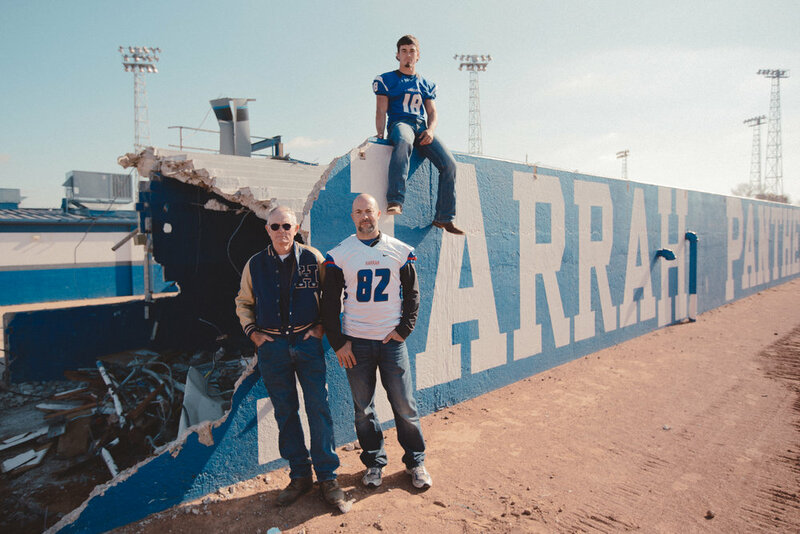 He reflected that great pride and heartfelt sentiments are tied to a stadium, but conceded that Harrah High School has been due for a change. And while that holds true, Harrah students and faculty are undoubtedly excited about the construction of their new stadium. Authorities estimate that Evans Field will be replaced with a new stadium in time for the 2017 football season.